Nine students at Black Hills High School voluntarily gave up their phones for a week as part of a special episode of NBC's Today show. Jessica Aguilar had no desire to give up her cell phone – not for a day, let alone a week. But when NBC’s Today Show came calling at Black Hills High School, looking for students willing to conduct a seven day experiment on teenagers’ relationship to digital technology, she found herself agreeing. 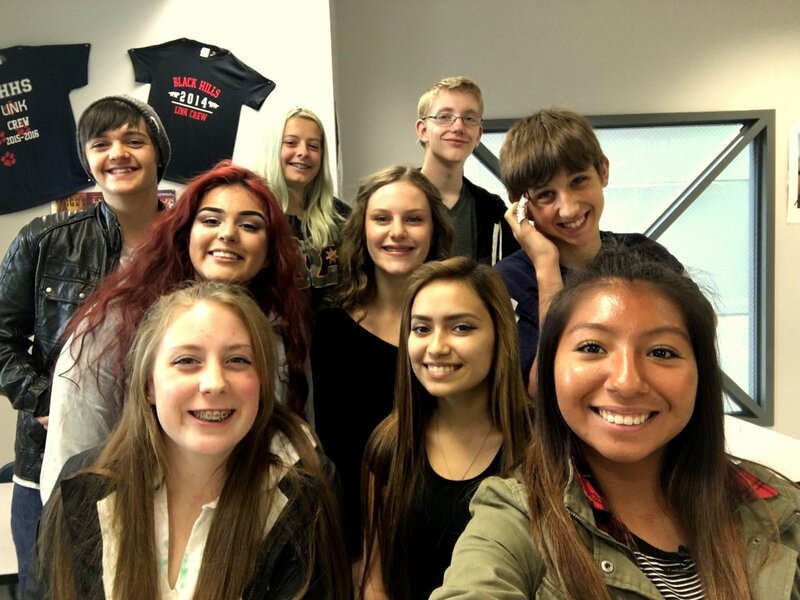 Black Hills High School was one of a handful of high schools around the country that had shown Screenagers, a documentary shot in Seattle that explores the impact of screen time on teens’ relationships, school, and family life. “The Today Show called the producers of Screenagers because they were doing a show on digital disconnection,” says World History teacher Dave Heywood, whose students participated in the experiment. 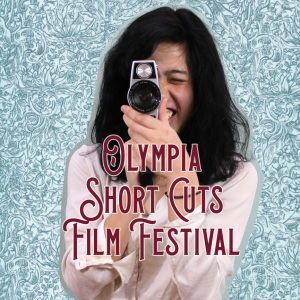 “They asked which school districts are using this film and we were one of them.” The show sent a film crew out to interview students both before and after giving up their phones. 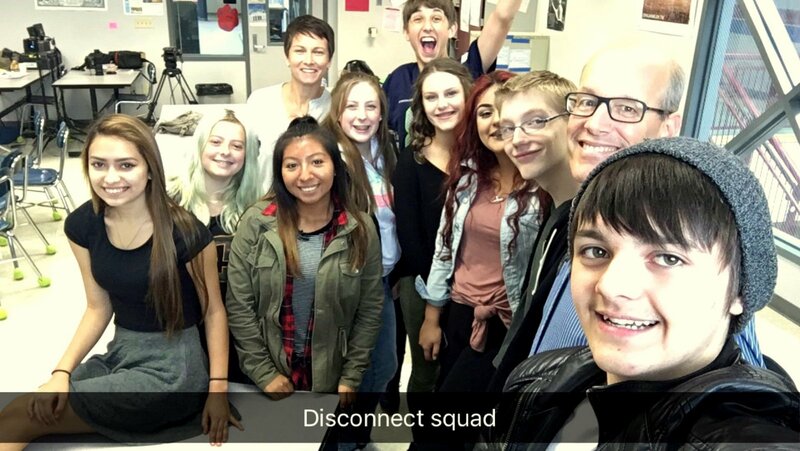 Nine students at Black Hills High School voluntarily gave up their phones for a week as part of a special episode of NBC’s Today show. Elena Valencia wanted to see if the ideas portrayed in Screenagers were accurate. “I wanted to know if it was true that we are more open-minded and do more things without our phone,” she says. NBC Correspondent Stephanie Gosk interviewed the students from Dave Heywood’s World History class. before and after the experiment. Herzog spent more time with her family. “I was hanging out with my brothers and we have a lot of board games that we hadn’t played in years, so I found those. We actually started going outside and jumping on our trampoline, just being kids,” she says. Olson plans to set a time limit for how long she’s allowed to be on the phone. “I’m also going to make sure that my phone is in the living room when I go to bed so I can sleep better,” she says. “I won’t have my phone on me during classes.” If Kotek notices his screen time going over two hours, he plans to put his phone away for a few days. But perhaps Powell sums it up best: “There’s more to life than just a box,” he says. The Today Show episode featuring the students will be airing in early November.